Korean Air Boeing 777-300 ER, painted in Korean Air livery. Registration HL7784. original model by Melvin Rafi. Updates and conversion to FSX by David Grindele. Repaint by Mohammed Al-Khalifa. 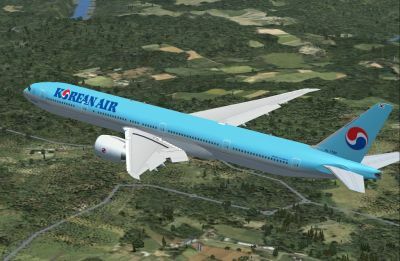 Korean Air Boeing 777-300 ER in flight. 2. 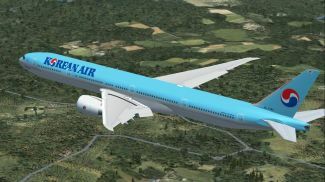 Copy the 'Boeing 777-300 ER Korean'folder to the "Microsoft Flight Simulator X\SimObjects\Airplanes" directory. The archive ke_773.zip has 86 files and directories contained within it.